LG’s G releases have been a funny thing in recent years. 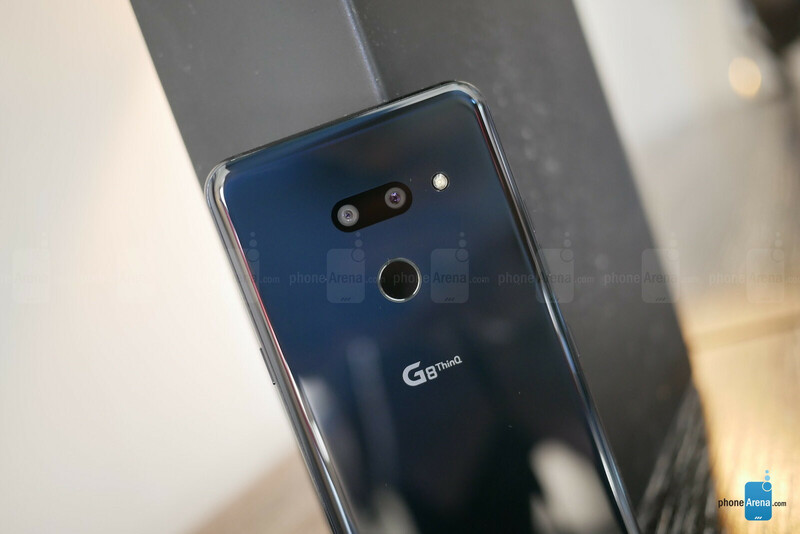 On one hand, they hold an important place for the company at the illustrious Mobile World Congress every year, but on the other hand it seems more and more like the G series is just that – a place-holder , meant to tease the company’s best device of the year: the latest phone from the V series, which has, in recent years, had everything the G offered, and more. For the first time in years, it seems that might not be the case. This year the G series brings cutting edge features and innovations to the forefront – additions that neither its competitors nor the V may have. 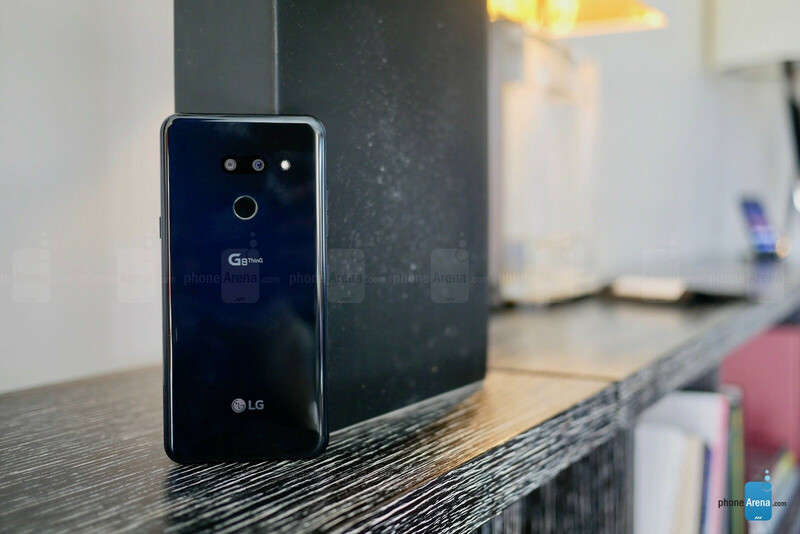 From afar, and actually up close too, the LG G8 ThinQ won’t stand out much from its predecessor, the G7. 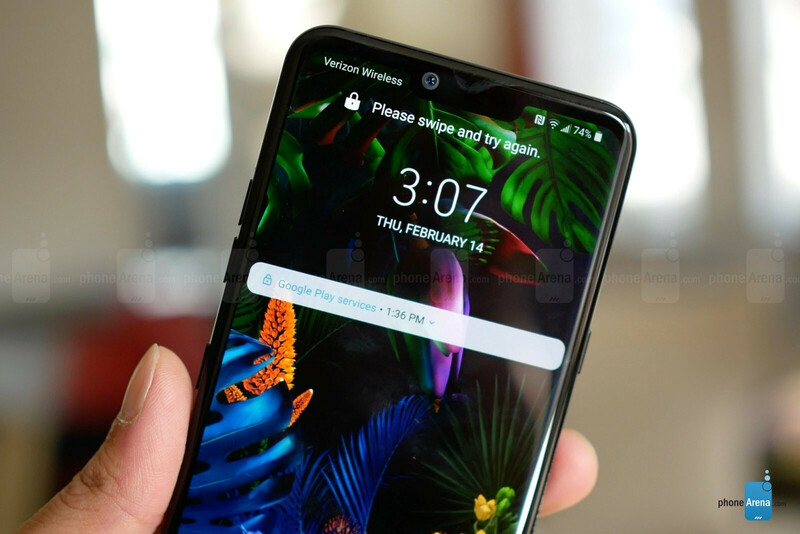 It has the same button layout with a dedicated Google Assistant key on the left, the same glass-and-metal construction, a notch up top, and a rear-mounted fingerprint reader. It does have an OLED display for the first time, though, nixing the Super Bright functionality of its predecessor, but we’d say this screen still looks mighty fine in the various lighting situations in which we put it – in color and luminance. But the G8 has more than a few surprises beneath its surface – or screen, rather. Arguably, the most interesting hidden component (and less arguably, LG’s most lucrative) is the so-called “Z camera” which is embedded next to and works in conjunction with the front-facing camera. This camera leverages Infineon’s Time of Flight (ToF) infrared sensor for better selfies, more precise 3D face-unlocking, hand gestures, and vein pattern recognition. Essentially, the Z camera works by emitting invisible infrared beams and measuring the time they take to bounce off of an object, thus determining how far that object is. This should result in better bokeh when shooting portrait selfies. In the case of vein pattern recognition, the beams are bouncing off of the actual hemoglobin in your blood to form an image of your vein patterns – a predictably tough biometric security measure to fool. By the same token, 3D facial recognition (now with eyesight recognition) should be more accurate, and thusly, much harder to trick. 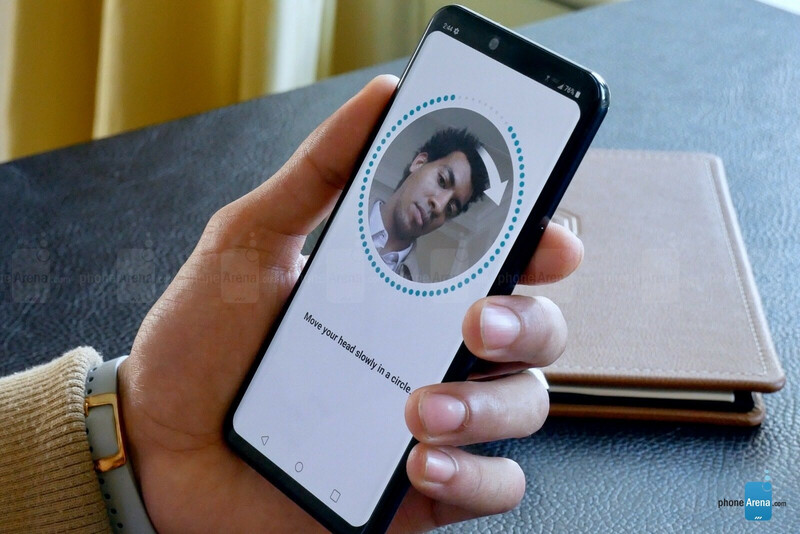 Add in the now blasé, but still appreciated fingerprint scanner in back and you’ve got three different biometrically-secure points of entry on the LG G8. Yes, LG’s G8 ThinQ is already giving us a lot to ThinQ about. Mere millimeters away, another curious addition (or omission, rather) is the case of the missing earpiece. Where did it go? Well, it’s actually all throughout the display. LG’s “Crystal Sound OLED display” technology, as seen in some of the company’s high-end TVs, uses vibrations from behind the screen, rather than a speaker, to transmit the audio. 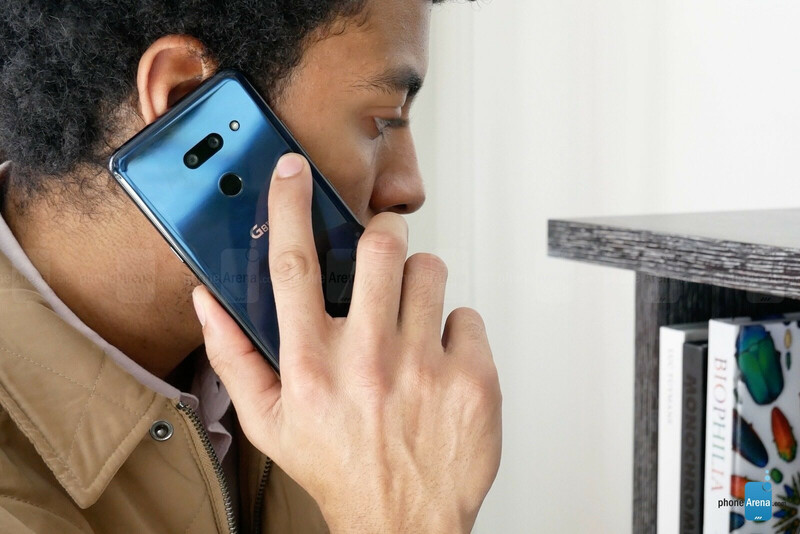 We can’t tell you just how good it sounds yet, but LG says this should make ear placement during phone calls less important, as well as eliminating any muffled sound directly after the phone has been in water, as there’s no speaker for liquid to ingress through. This will also combine with the boombox speaker on the bottom of the device for a stereo sound experience when consuming media. It is, by our early accounts, a pretty loud device no matter whether it’s resting on a surface or in your hand. As mentioned, the Z Camera equips the G8 ThinQ with another software-based feature, aside from security and selfies – gesture control. Dubbed “Air Motion” this set of gesture-based functions can control media playback, silence alarms, field incoming calls, adjust volume, open specific apps, and of course, take a screenshot. In theory, this can be helpful when your hands are wet or dirty and you don’t want to touch the phone, and perhaps as a quick shortcut to certain apps, but that’s about it. In practice, raising your hand and creating the proper claw shape to gain the feature’s recognition of your intent, then actually executing your desired function in this manner takes just as much time and focus as doing so using touch, which is also, of course, less finnicky in its execution of tasks than these gestures are. It is kind of fun to use, though, even if it’s not the most reliable way to interact with your device. Still two cameras, though – at least in the U.S.
Opting not to triple up as it did on the V40, LG actually lowered the megapixel count on the main sensor from 16 MP on the G7 to 12 on the G8, while keeping the same secondary, wide-angle camera equipped with a 16 MP sensor. 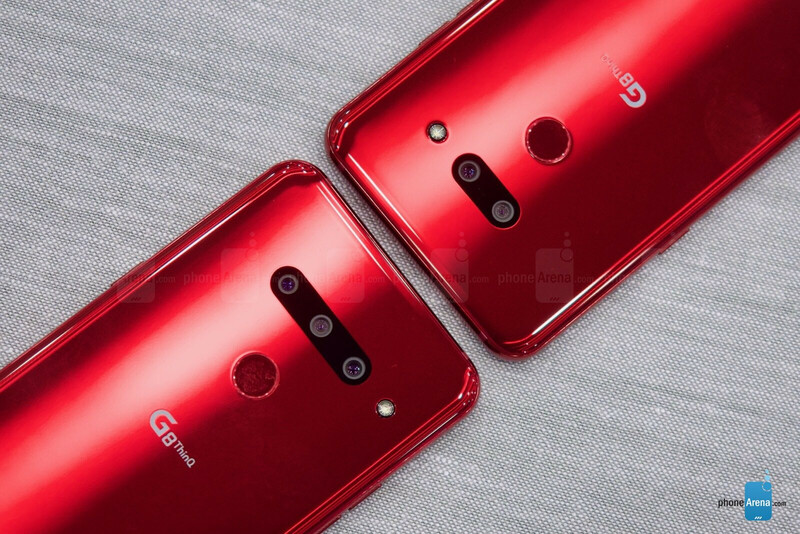 We should mention that there will, in fact, be a triple-camera version of the G8 ThinQ, which adds a telephoto camera to the mix. 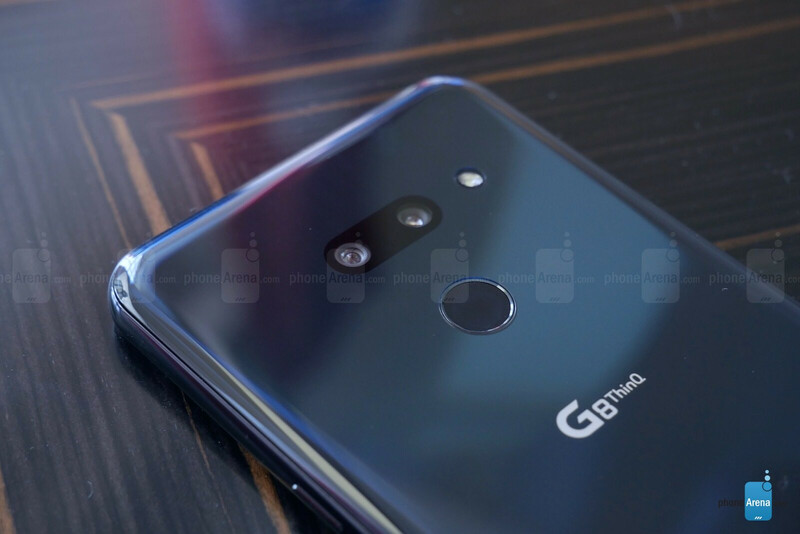 This appears to be the only spec change from the dual-camera G8. Unfortunately, this version will likely only come to Korea – something we can all take turns yelling at LG for later. New to the software equation is Night View, which replaces the previous “Super Bright Camera” setting for extremely low-light shots. Whereas Super Bright Camera increased light sensitivity by combining pixels, to the detriment of resolution, Night View instead captures ten images, combining them to reduce noise and bolster detail capture. In the video department, you’ll still have the ability to record up to 4K, 60 fps video with either manual or automatic controls, but LG’s now also introduced a live portrait mode for video capture. This can single out people or objects and adjust bokeh intensity on the fly. In our preliminary use, the G8 seemed to recognize faces with ease but struggled a bit more with separating objects. Of course, on the 8 MP, front-facing camera, portrait mode, and stage lighting for which, are bolstered by the ToF sensor, which should help apply lighting and blur more evenly, and accurately in such shots. The LG G8 ThinQ is meant to do battle at the top of its class with other heavyweights like the Samsung Galaxy S10 and even the iPhone XS. 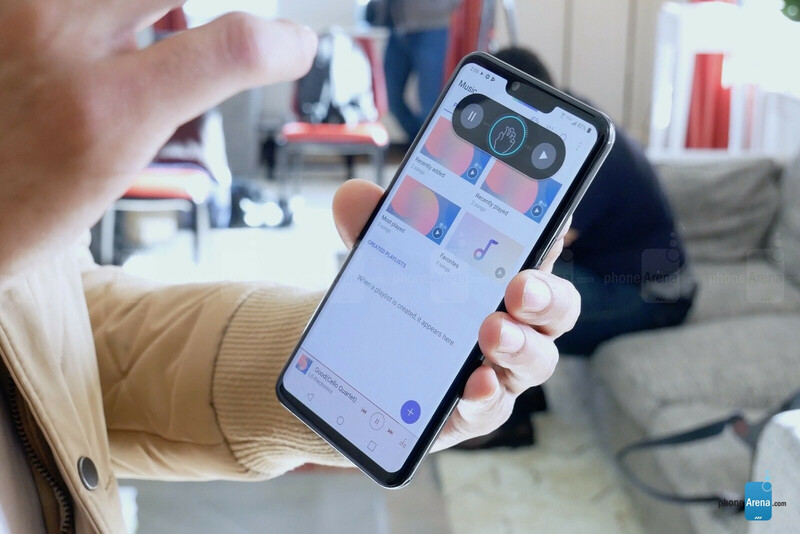 As such, it has the best components you can expect in a top-of-the-line Android phone – Qualcomm’s Snapdragon 855 with 6 GB RAM and 128 GB storage, expandable to 512 – as well as a few more futuristic, unique components, like the ToF sensor and Crystal Sound OLED display. Additions like these may do little to give the G8 ThinQ an immediate edge over its stiff, ever-evolving competition. However, we wouldn’t be surprised to see the competition eventually taking a page or two from LG’s schematic book on this one – either to improve optical depth recognition as the Z camera does or eliminate one more unnecessary hole in their device’s facades like the CSO display. Either way, this is something we haven’t been able to say about an LG handset in quite some time. Bunch of gimmicks from LG. The new features are more innovative than gimmicky tbh. Innovation is real with this one. Fingerprint on back and notch... Welcome to 2017.... And why is it wider and thicker than G7 ? It's neither big screen nor compact phone, but rather something strange. And yes - they have added a portrait mode in video... Definitely something we all have been dreaming of... LG definitely forgot what is esential in smartphone. It's thicker because it has a 18% bigger battery maybe? Search and/or think before posting please. There's also going to be a g8s thinq with slightly bigger screen. it's really sad to see that the haven't redesigned LG UI which looks cartoonish and outdated. They spent a time on BS like portrait mode on video but didn't bother themselves to redesing primitive looking UI. Another huge phone from LG, and then they wonder why their mobile division posts continual losses. Huge phone?... It's a 6.1 inch screen same as the s10 but smaller than the iPhone XR. The LG G8 is actually someone interesting this year. Hopefully they'll do better than last year with this new tech. Again, "Only in Korea". Ridiculous move from LG. 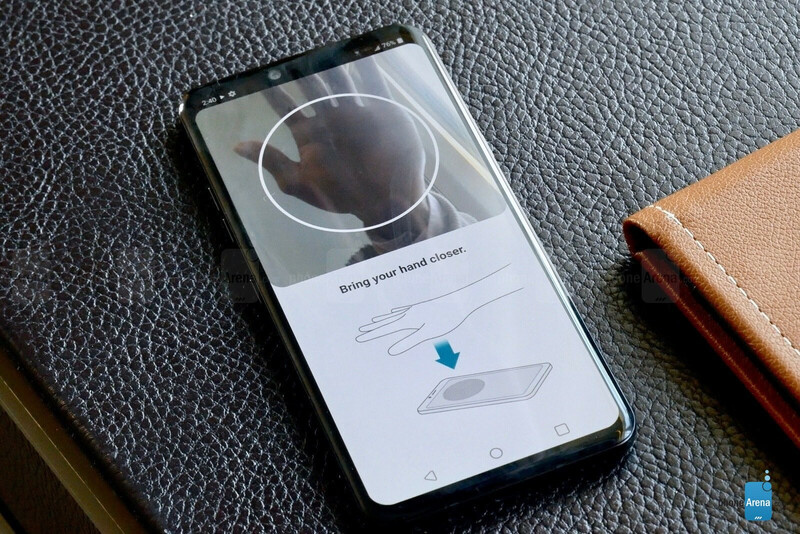 Handprint unlock is pretty useful; you don't have to touch the phone to interact with it, making unlocking possible if the phone is on a wireless charging pad, for example.